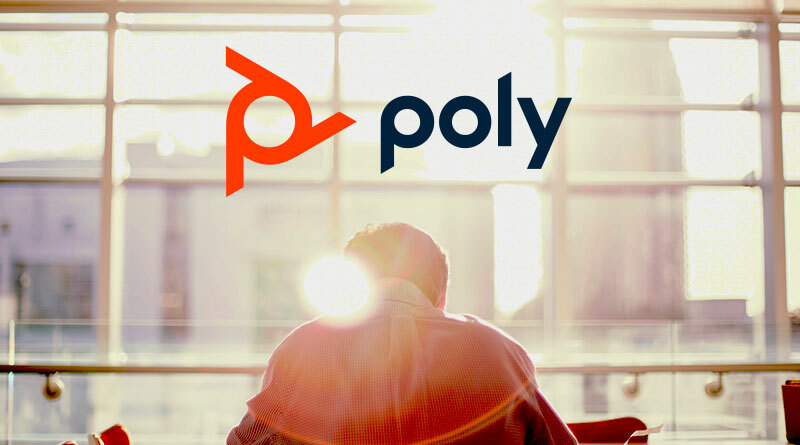 Plantronics and Polycom are forming a new company: Poly. Using the combined expertise of decades of experience, Poly will push business communications and collaboration forward. Poly means “many.” The company takes as its goal The Power of Many. They will build solutions that empower workers with communications technology that feels natural to use. In this blog, we’ll introduce you to the new biggest thing in business: Poly. Poly is both a continuation of the work Plantronics and Polycom have done for decades and a forward-looking redefinition of their missions. Open offices and huddle rooms can improve collaboration, but they can also introduce noise and distraction. They’re more natural, but also more disruptive. Poly will build solutions that retain the collaborative nature of the modern office while reducing the friction that saps productivity. Polycom Acoustic Fence is one excellent example of this type of technology. Acoustic Fence uses beamforming microphones to create a virtual fence around a person or group of people. It then filters out noise beyond this virtual fence, greatly reducing distractions on a call. Workers today are familiar with and use many different devices and platforms in the course of a normal day. In fact, according to Poly, people use three or more collaboration solutions on any given day. They need devices and services that work across media and across platforms. 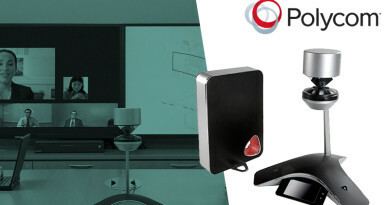 Polycom and Plantronics are already known for the excellent interoperability of their products. Poly will provide collaboration endpoints that work for how you want to work. 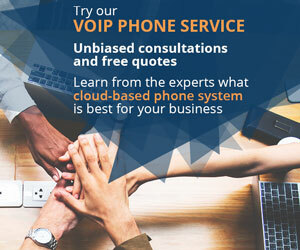 For example, Polycom Trio features hybrid registration support, so you can switch with only a single tap between profiles for SIP, Skype for Business, Zoom, and more. You use the service that works best for this call without all the worry. We live in a mobile-first world. Today, we expect mobility to an extent not seen even five years ago. Not just smartphones: we expect our applications, audio and video communications, and other services to work across devices and on the go. Poly responds to this dramatic shift by focusing on mobile-first design. That means giving workers business-class devices that work anywhere. So they can seamlessly shift between use-cases, like Plantronics Voyager 4220 UC, which provides a business headset experience for workstations, laptops, tablets, or smartphones. Or they can be used anywhere work takes place, like Plantronics Calisto portable speakerphones, which give you professional audio quality in the huddle room, in a hotel room, or wherever you may be working. The cloud is only going to keep on growing. More and more businesses are migrating to the cloud as they focus on end-user experience, because cloud services are generally more feature packed and cross media friendly. But will the focus on user experience be to the detriment of admins and information security? No. Poly will balance the needs of administrators with the needs of end-users. 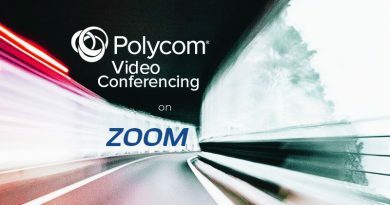 For example, the new Polycom Studio USB Video Bar works out-of-the-box with an enormous range of platforms, including Microsoft Teams, Zoom, BlueJeans, and GoToMeeting. 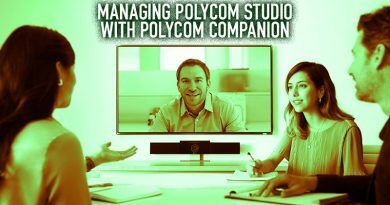 Yet it’s also incredibly simple to manage Studio using Polycom Companion. So both end-users and admins win.